So what’s the answer, TGB? And why? When someone asks you how you’re feeling, 99.9999% of the time they’re not asking about your sense of touch or how well your hands work. They’re asking you to describe your state of being. To tell them a little something about yourself. To describe yourself. 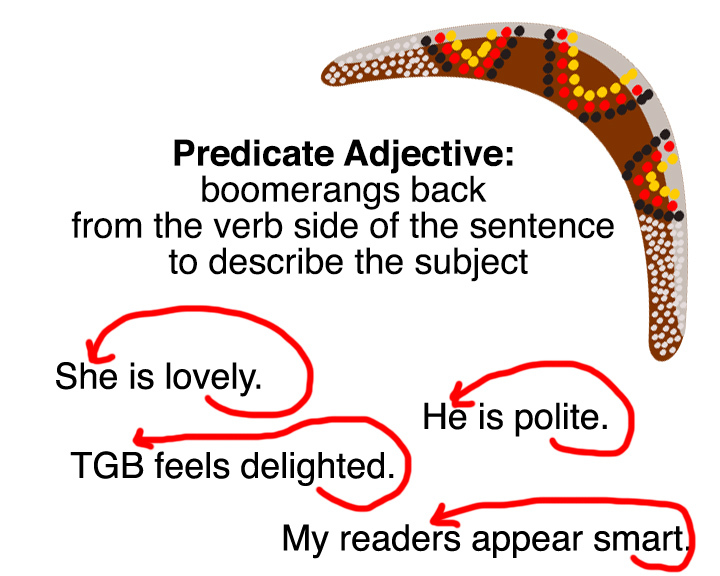 When you’re describing a noun (e.g., Brandy) or a pronoun (e.g., I), you use an adjective! That’s why I feel good or happy or frustrated. Did you know it’s also OK to say that you “feel well”? It is, but ONLY in the sense that you’re describing your state of health. It’s the opposite of “feeling ill.” This is also a timely part of the lesson considering I’ve been feeling rotten over the last few days. (I’ve been “punk,” as my former grandmother-in-law [rest her soul] would say.) If you’re simply meaning that your state of being is content, then good is the word you want. Well now, that makes sense. And now I feel a lesson on predicate nominatives coming on. . . . I’d better start feeling well soon. I’m a big fan of the song “Feelin’ Good.” My favorite version on iTunes is by Carmen McRae. My favorite not-yet-on-iTunes version is by my friend Melody and her award-winning quartet, BLAZE! Love the post!! Blaze quartets awesome and I am so glad my friend Tamara (and Teresa) is singing with them! Aren’t they fab?! I do love Amy, Tamara, and Teresa too. (I just know Melody is a regular reader of my blog!) Thank you for stopping by! If you haven’t followed The Grammar Belle, do it. She’s great and feels well, today. This entry was posted on April 24, 2014 by The Grammar Belle in Grammar Dilemmas, Southernisms, Uncategorized and tagged adjectives, BLAZE! Quartet, Feelin' Good, feeling punk, good, well.